A luxurious island retreat with a history steeped in philanthropic generosity, Seabrook Island is sure to tug at your heartstrings. In 1666, the first British explorer Lt. Col. Robert Sanford arrived on Seabrook Island, then occupied by the Stono Indian tribe. By 1684, the tribe ceded their land holdings to the English government and English settlement began with cotton, indigo, and rice plantations rising above the landscape. British and Hessian troops utilized the island as a staging area during the American Revolution. After a series of different owners who used the island for everything from farming to a sportsman's hunting getaway, 1939 saw the island take on a more noble purpose when the Episcopal Diocese of South Carolina rented land establishing a camp for underprivileged youths. In 1951, that noble purpose became firmly entrenched when 1,408 acres of land were given to the church for the continuance of the camp. That spirit of a giving and caring community continues today, with a great number of the residential areas peacefully situated on the land the church sold for development in 1970. Boasting some of the widest beaches available for East Coast barrier island real estate, an investment on Seabrook Island is a wise and sturdy legacy ensuring generations will enjoy the fun and sun of this beautiful island. The Seabrook Island Property Owners Association is deepening that lasting legacy by requiring homeowners to live in harmony with the ecosystem of the island, a distinction earning them the prestigious Audubon International Green Community Award. Diverse wildlife populations of deer, dolphin, and a plethora of birds live in beautifully preserved marshland and oceanic habitats. Operating as a Township, the island is not threatened by annexation by nearby Charleston. 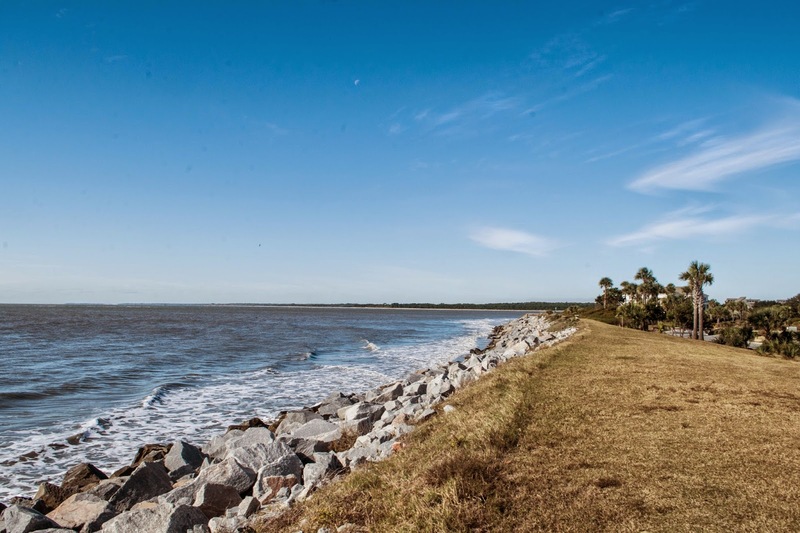 The Seabrook Island Club is truly the heart of this beautiful community. Its two golf courses hold the distinction of being certified as Audubon Cooperative Sanctuaries. It is also the home of the Seabrook Island Tennis Center. Consistently ranked among the top 25 tennis facilities in the United States, residents can follow up a bracing game of tennis with a relaxing swim in the facility's crystal clear pools or with a workout in the 26,000 square foot fitness center. Villas, townhomes, and single family homes are available in settings ranging from a golf course to a marshland or oceanfront view. If you wish to expand your creative outlets to include home design, new construction lots are also available. Real estate prices in this exclusive gated resort range from $200,000 for a condo to several million for a single family home, but the only place to rival the lifestyle of leisure and luxury offered on Seabrook Island is the Florida Keys. Visit our website to see the available real estate on Seabrook Island, or contact us at (843) 871-1710 to schedule a tour! We have no doubt it will call to your heart!